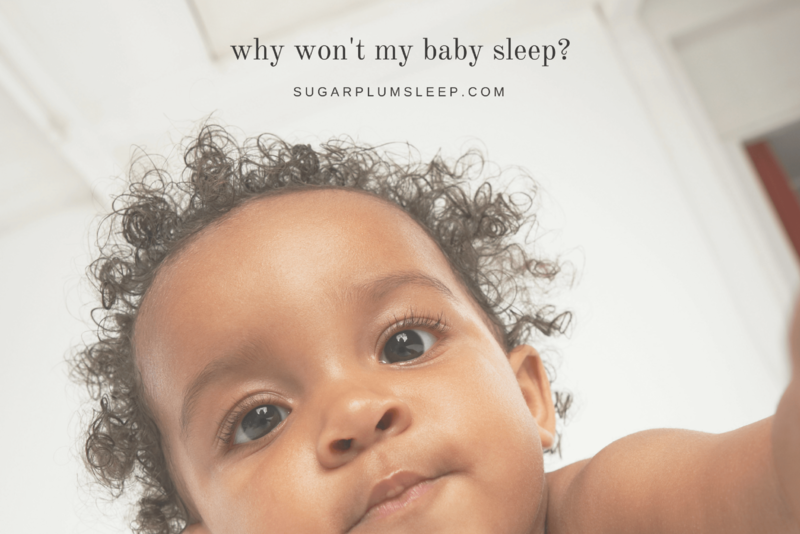 My Baby Won't Sleep - Possible Causes | The Sugar Plum Sleep Co. If it’s 3 in the morning and you have just Googled “my baby won’t sleep” you’ve come to the right blog post. There are many different contributing factors as to why a baby struggles to fall asleep and to stay asleep. As your baby gets older, they become more aware of their surroundings. 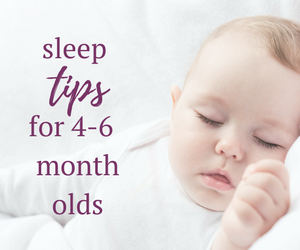 As a newborn, your baby could fall asleep in different locations, but now that they are getting a bit older, you may want to focus on having them sleep in their crib for naps vs. being on the go. This doesn’t mean that every single nap, every single day needs to be in their crib, but better quality naps usually translate into better sleep at night. Start by evaluating the temperature, noise and lighting in their bedroom and make adjustments accordingly. More often than not, when I’m working one-on-one with families, I see that a baby is up for far too longer than they should be. Keep in mind that all children are unique in their sleep needs. Using a tracking tool to monitor their levels of fatigue and how well they nap will help to pinpoint how long they can stay awake for. Newborns sleep a lot. 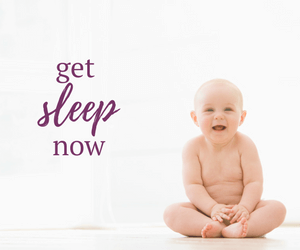 Babies that are under 3 months of age will likely need to go back to sleep every 45-60 minutes. As a baby reaches 3 months of age, their stamina will likely increase enough to allow for at least 1 hour of awake time, or slightly longer depending on their individual sleep needs. 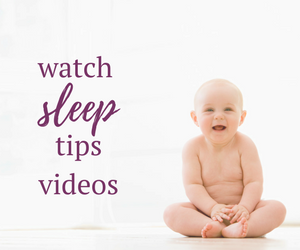 As a general rule of thumb, a baby that is 4-6 months of age should be awake for 1-2 hours before needing to sleep again. If your baby is 4 months, you may find that they are only able to stay awake for 60-90 minutes. If your baby is closer to 6 months of age, you may find that they can stay awake for 2.5 hours or even 3 hours. A baby that is 6-14 months of age should be awake for 3 hours before needing to sleep again. Children that are over 14 months are typically down to one nap a day, allowing them to be up for 5-6 hours at a time. Perhaps during your baby’s first few months they used props frequently and they slept fine. Some baby’s can continue to rely on props without much disruption to their, or your sleep. For other children, props can have a shelf life. At some point, the prop no longer works. If the prop no longer works AND your baby is still unable to settle on their own things can become challenging in a hurry. If this is where you are at, it might be time to consider sleep training options. 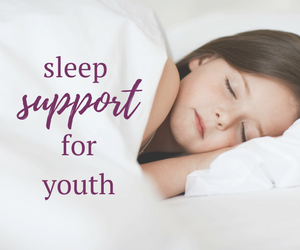 Eliminating props is a great way to help your child develop great sleep habits but I know that that might not be where you are right now. As a first option, I would encourage you to focus on room conditions, routines and timing windows and see what type of progress you can make. 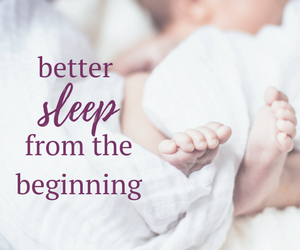 If no matter what you do, your baby is still struggling to fall asleep and stay asleep and you need some support right now, contact me to discuss sleep training options.